I’ve seen Darcy Coates books all over Amazon and Goodreads, and her eerie covers always catch my eye, but I’d never read any of her work. After Craven Manor was nominated for a Goodreads Choice Award in the horror category, I knew it was time to change that. My heart immediately went out to Daniel. He’s down on his luck, with barely a penny to his name, but is so generous to others. Maybe he’s a bit naive, but I awarded him bonus points for being an animal lover. This author definitely knows how to set a tense, haunting scene – the imagery is wonderfully vivid, and the neglected grounds of the manor are easy to visualize. The final battle, although furious, seems to stretch on for bit, but it leads to a satisfying ending. I also found the relationship between Daniel and his cousin, Kyle, kind of weird, and never really understood it. 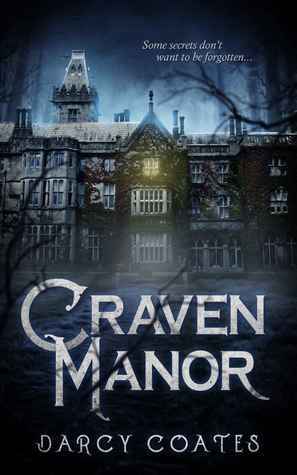 Overall, I enjoyed Craven Manor, and I’m sure it won’t be the last book I read by this author. I read this book and loved it. No, it’s not perfect, but the creepy, old mansion and the evil-thingy antagonist more than make up for it. I will read Darcy Coates again, too! The creep factor for the mansion was definitely high, Priscilla, and I also liked how it was a bit unclear at times who the antagonist was. I like the cover, too. And points for setting a creepy scene. I do prefer character-driven fiction, though, and that weird relationship might leave me itchy if I didn’t get it. Her covers are wonderful, if you like eerie. The relationship was strange in that the cousin was nice at first, saving Daniel from the streets, but then he’d be cruel – it seemed to flip-flop throughout the book. 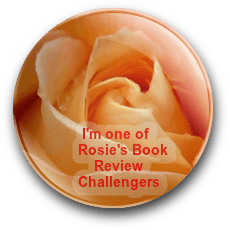 Great review by blogging author, Teri Polen! All of her covers are fantastically creepy, Shannon – really sets a tone. For me, it all starts with the cover – and this one absolutely did its job. I have to admit that I’m the same! Exactly, Diana. Mixed, but I’d definitely read this author again. This one just wasn’t a favorite for me. Right up my current reading street, Teri. Thanks for sharing. You must be on a horror kick! Desperate for a job… Groundskeeper… Note under the door… and his alarm bells don’t start going off until he gets there? Still your review is intriguing, Teri. Thanks for sharing. TGIF hugs! Oh, his alarm bells were going off, Teagan – he was just that desperate and had nowhere else to go. Hugs! I enjoy her covers. I see them all over the place and have tried a story a time or two. Her covers are what originally drew me to the books – really talented designer. Thanks! 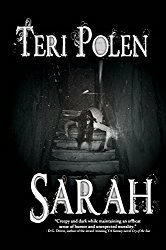 I love a good horror novel – and that cover is chilling.